Jaded Blossom: Guest Designer, Sara! Sara Here! Yay, my day is finally here! I am so excited to participate as a Jaded Blossom's Guest Designer. I wanted to create something fun for my table for Christmas. Of course it has to hold yummy treats for the kids and I have the perfect JB products to pull it all together! I love these little elves peeking out of the windows. I stamped them on the opposite side of the velum and then colored them with colored pencils. Thank you so much for taking a look at my project. I had so much creating a project for JB. This is soooo awesome Sara! Great job! Oh my this is just so awesome! A lot of work and love went in to this train and it shows in all the details. This is SO fun! 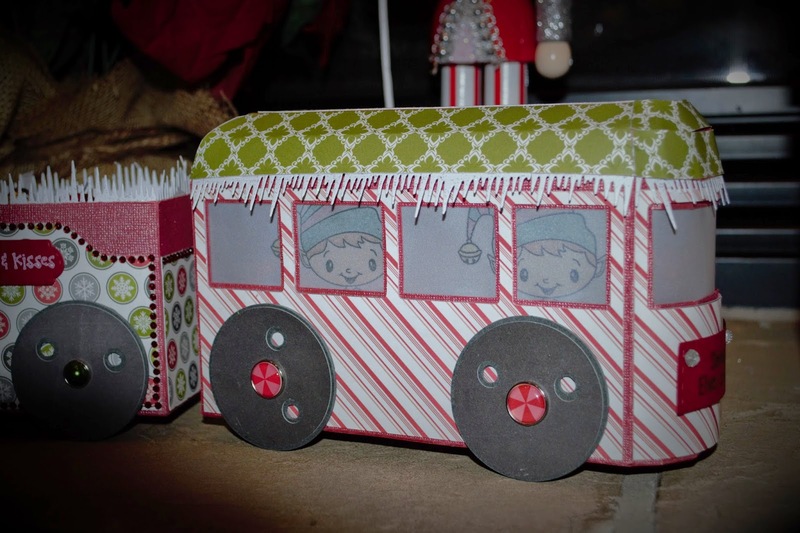 Love that train with the peeking elves in the windows and the fun candies! Awesome job! omg...your train is awesome!!! I just love it...I've wanted to do it for my mother in law because many of her relatives worked for the railroad...however I failed at glueing 101...so I'm scared to try it :). Your elves in the windows are a fabulous idea!!!! Love it!!! Really cute train! Love all the details. Super cute train. Love it. Amazing job! This train is fabulous!! This is simply amazing! Great job! I love it! Awesome job lots of work in this project! 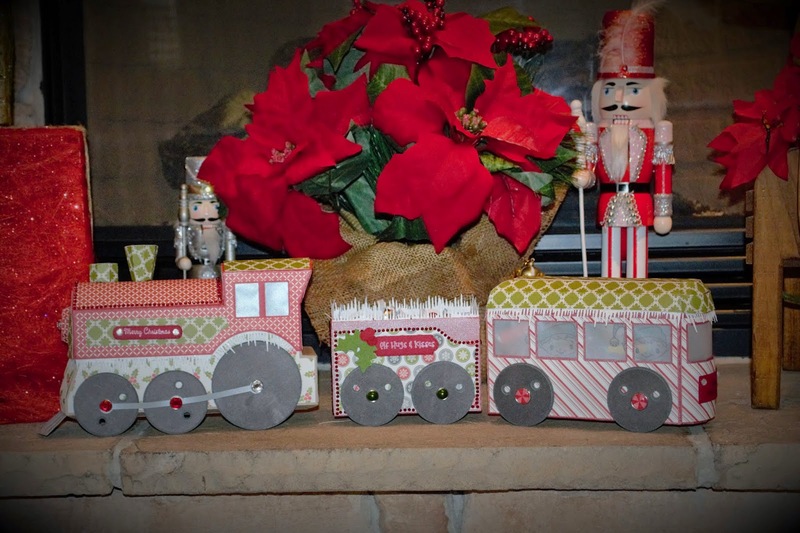 Love the elves peeking out on the train... Great job! What a beautiful train,aren't svg cuts just so beautiful...I love the dimensional stuff!! WOW.....you are very talented and creative! This is stunning! I love files from SVG Cuts and they are so intricate. I know the time they take to create so you put a lot of heart into this! Fabulous job! this is so fabulous, such great detail and I love the color combo! This train is awesome! Happy Holidays! The train is just too cute. Ooooooo, beautiful! I have long admired that train!